Importance of Reputable Supplements | Core Health Call today! We live in a time where major online retailers rule through a sales platform that requires zero background checks or product verification. Now more than ever, it is so important for us to understand the value of reputable supplements. There is much to be discussed regarding supplements, and the information often comes across as overwhelming. Here, we will break it all down and get you started on the right track. Even more importantly, we’ll discuss why we need supplements in the first place, and give you direction in a world that has little to no government evaluation. More than one hundred and seventy million American adults take some form of dietary supplement. One third of all American children take a multi-vitamin, probiotic or supplement. Considering that these are very high numbers, it would seem necessary that the supplement industry would be, at the very least, moderately regulated. When even verified sellers on retail giants like Amazon aren’t packing and selling reputable supplements, the situation can seem dire. Since just under 30% of all items listed on Amazon come from Chinese counterfeiters, consumers are turning to places like Wal-Mart, Rite Aid, GNC and even Trader Joes hoping for a solution. They aren’t getting it. According to former FDA special agent Gary Collins, “One of the easiest ways to make a dishonest buck in the supplement world is to create a pill that mirrors a name-brand health supplement. Create lookalike packaging and you can sell your worthless pill on the Internet for a discounted price.” Yikes. Americans spend thirty billion dollars a year on supplements. We should be able to trust what we’re putting into our bodies. Counterfeit supplements can range from dangerous to completely ineffective. It’s vital that all ingredients in whatever supplement you are taking are sourced properly, with zero contamination. This means an environment that is free of factors like humidity and harmful microbes. Remember, any toxins that end up in your supplements, end up in you. Reputable supplements are not manufactured this way. Companies that have your best interest in mind conduct tests to ensure the absence of contaminants and allergens, among others. Purity is the goal, and the best natural vitamin brands have the consumer in mind. Unfortunately, reading the label on the bottle doesn’t necessarily make for reputable supplements either. Organic is never a guarantee of “good for you”. Many supplement tests performed between 2015 and 2016 (even from retailers like Target and GNC), found that the ingredients listed on the labels were false. This included missing the main ingredient completely, and also the presence of allergens such as peanuts. There is little to no consistency in production. Also, it’s possible for the active ingredient in a counterfeit supplement to be too high (in some tests, more than 10 times the amount), which can lead to a whole new list of issues. All is not lost. It is more than possible to purchase safe, legitimate and very reputable supplements that won’t leave you wondering what the heck you’ve put in your body (because you’re probably thinking that now, right?). It’s helpful to purchase from your practitioner as well. Here at Core Health, we work only with companies who sell top quality nutritional supplements directly to practitioners. Every company we use has third party independent testing, climate control and other safety and purity precautions in order to deliver top-notch products to people who need nutrition. We deliver the very best, and take the issue of reputable supplements seriously. 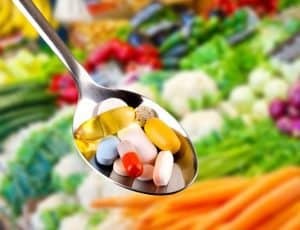 After all, supplements that are not regulated are often made with fillers and other irritants that fuel gut issues and can stimulate unknown food intolerances and immune system imbalances. 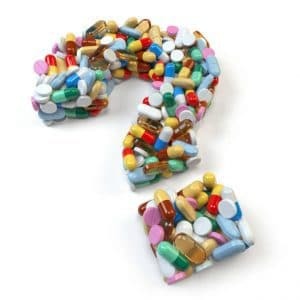 For every patient eager to try supplements there is one who is convinced they don’t need them. Yes, our bodies definitely pull nutrition from food, but in most cases this is not enough. The reason that it’s necessary that our diets change, is because the way we get our food has changed. The facts are presented again and again in government studies conducted regarding the evolution of the human diet. We are facing serious issues with nutrient assimilation, and it’s good for all practitioners (and patients) to know which vitamin brands are best in not only quality, but absorption levels as well. The difficult time our bodies have absorbing the proper nutrients does not come as a surprise when you take just a quick glance at how we live. We eat processed “food” that has zero nutritional value, while industrial farming has depleted the nutrients in our soil. The overall stress of everyday life leads to the need for a higher nutrient intake as well. Basically, our poor diets can’t keep up with the damage done by excessive indoor sedentary lifestyles and the toxins present in the environment around us. It has become completely clear that nutrients are vital not only in making up our biochemistry, but also helping with metabolism. Nutrient deficiencies in our population are widespread. We are at a loss when it comes to iron, vitamin D, folate and many others. In fact, ninety percent of the American population has a vitamin deficiency! The right dose of the correct reputable supplements can help. First and foremost, it is important to note that if you’re not taking the correct supplement for you, then you may not notice a difference in your health. Scheduling an appointment with your functional medicine practitioner to discuss and evaluate your needs is the first step in a successful regimen with reputable supplements. Not only is your practitioner knowledgeable in which supplements will be in your best interest to take, but can provide you with the supplements that they know are the highest of quality. Lifestyle changes such as eating an anti-inflammatory, nutrient-dense diet and getting enough exercise will help lessen our nutrient deficiencies. Still,reputable supplements can be critical in the path to healing. It is part of our mission as functional medicine practitioners to make sure that our patients receive the best possible care in order to help people regain and maintain their health. This can include proper individualized diet and exercise, stress reduction and lifestyle factors, along with correct supplements to fill in any nutritional gaps. Reputable supplements are out there, and they are plentiful. Though the world of supplement manufacturing has taken a down turn with the convenience of the internet, it’s not gone completely. As of now, the supplement industry is not considered to be tightly regulated by the FDA. This can be good and bad. We strive for balance in the supplement industry, where counterfeiters do not succeed in pushing damaging products, but also not total regulation by the government. This could limit access to good quality supplement brands, taking the power completely away from the doctor- patient relationship. When deciding on supplements, practitioners and the general public alike, should look at it in the same way as purchasing a bag of apples. We get up early on Saturday mornings to head to our local farmers market for the freshest produce available. We know that when it’s handed directly to us from the source that grew it, we are in better hands. Supplements are no different. Whoever coined the phrase “you get what you pay for”, was not kidding. This is true of everything, from beauty products and suitcases to kitchen appliances and nutritional supplements. They have a pivotal role in the restoration and maintenance of health for many patients. It’s important to choose wisely when buying supplements, and making sure your hard earned dollars are going towards a product that can actually do the job.